James (Jim) Alan Mueller, age 71, of Fort Walton Beach, Florida went to his heavenly home on Saturday, December 1, 2018. Jim was born July 7, 1947 in St. Louis, Missouri to parents, Al and Doris. Jim is survived by his wife, Pamela (Pam) McMurry Mueller of Ft. Walton Beach. Jim will be remembered and missed by many. He was a loving husband, father, grandfather, brother and friend. Jim was a retired Teacher, Coach and Administrator of thirty years in Okaloosa County. 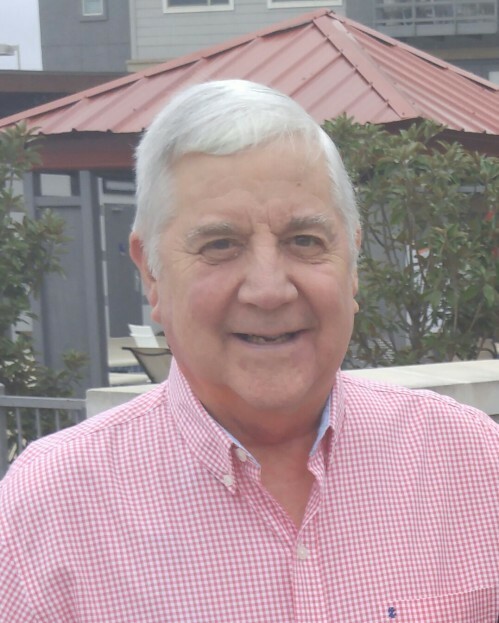 During his career in education, Jim served the students of Bruner Junior High School, Ft. Walton Beach High School, Edwins Elementary School, and Destin Elementary School. He had lived locally for forty-seven years with his wife, Pam. Jim is also survived by his mother-in-law, Jane McMurry and children Ty Mueller (Andrea), Tammy Porter (Kelly), and Tracie Harley (Jimmy). He leaves behind eight grandchildren: Madison Mueller, Mackenzie Harley, Delaney Mueller, Maddox Mueller, Brooklyn Harley, Braxton Mueller, Peyton Harley and Taylor Porter. Jim is also survived by his brother, Michael (Susie) Mueller and his niece Stacey Mueller-Mitchell of Fort Myers, Florida. Jim Mueller was preceded in death by his parents, Al and Doris Mueller, and his grandchild, Zachary Porter. A Celebration of Life will be held at Emerald Bay Country Club, Destin Fl, on January 5, 2019 from 5:00-8:00 for family and friends. Those who wish to honor his memory are asked to make a donation to the American Cancer Society in his name. The family appreciates the prayers, love and support of so many at this time of loss.